(Beyond Pesticides, April 4, 2019) Contamination of drinking water with toxic breakdown products and risks to fish and and amphibians has led to a ban on the fungicide chlorothalonil in the European Union (EU). While the pesticide will be out of use in the EU next decade, tens of millions of pounds will continue to be sprayed throughout the U.S. unless regulators take action quickly. EFSA’s review of chlorothalonil categorized it as a 1B carcinogen, meaning it “may cause cancer,” with the most significant risk found for kidney cancer based on laboratory animal studies. Further research was needed into many of the metabolites (break-down substances) created when chlorothalonil degrades. However, regulators determined enough data was present to conclude that these breakdown substances may be genotoxic, with the potential to damage DNA and lead to cancer. Prior research backs up Buglife’s concerns. A 2018 study found that pollinators display a concerning attraction to chlorothalonil. Research from Cornell University in 2017 even singled out chlorothalonil as a contributing factor to the ongoing decline of pollinators. A 2016 study found that chlorothalonil altered the microbiome of honey bees, and a 2015 study showed reduced bumblebee colony size and health after exposure to the fungicide. Although regulators did not go further with data relating to potential wild pollinator impacts, the justification surrounding impacts to aquatic species matches up with recent independent scientific literature. 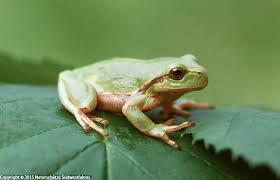 In 2011, a study found that chlorothalonil, even at low doses, poses significant risks to a range of frog species. And building on that research, a year later scientists determined that the chemical altered the proper functioning of aquatic ecosystems. While EU regulators have been hard at work reviewing the impacts of this chemical and its effects on human health and aquatic species, the U.S. Environmental Protection Agency is two years late on a workplan it set for itself on chlorothalonil. EPA estimated it would open a review document for the chemical in 2016, but the most recent action taken, according to the agency’s docket folder on regulations.gov, was a meeting with the chemical’s registrant Syngenta (now owned by ChemChina). Chlorothalonil has been in use since the 1960s, yet only now are regulators beginning to understand its impacts to human health, water quality, pollinators and aquatic species; after half a century and tens of millions of pounds of use. Cases like these are not rare, or an exception, but frustratingly common in the world of pesticide regulation. But, in conjunction with an increasing understanding of the toxicity of chemicals once used with minimal scientific review, is a growing realization that they’re simply unnecessary to grow food or maintain healthy landscapes. A 2017 study found that farmers can sustain yields and profit margins while eliminating their pesticide use. And a United Nations report published around the same time sharply criticized the “myth” perpetuated by the agrichemical industry that toxic pesticides are necessary to feed the world. Join Beyond Pesticides in urging civilization off the pesticide treadmill by going organic whenever and wherever possible – in your food choices, your backyard, and community. The more that we create and promote organic systems that do not necessitate toxic pesticides, the greater chance we have to leapfrog the decades-long timelines regulators take to restrict hazardous chemicals in the environment. This entry was posted on Thursday, April 4th, 2019 at 12:00 am	and is filed under Chlorothalonil, International, Uncategorized. You can follow any responses to this entry through the RSS 2.0 feed. You can skip to the end and leave a response. Pinging is currently not allowed.